I dreamt of becoming an engineer ever since I was a child growing up in Taiz, a city in southwestern Yemen. This dream drove me to study at Sana’a University, graduating with a degree in engineering in 2013—two years before the outbreak of a war that would irreversibly change the lives of Yemeni people. Driven to fight the injustices of poor sanitation, which can trap people in poverty, I became an aid worker in 2017, focusing on water, sanitation and hygiene (WASH). For the past two years, I’ve been working with International Medical Corps as a WASH Officer. The conflict in Yemen has left a trail of devastation in its wake. The worst humanitarian crisis in the world is currently unfolding in my country, with 80 percent of the total population—24 million people—are in urgent need of humanitarian assistance. Almost half of that number—11.3 million—are children, vulnerable in general but now left completely exposed because of the war. During the last four years, 3.9 million people have been displaced from their homes, and famine has been declared in parts of the country. To respond to the crisis, aid organizations have launched the largest humanitarian mission in the world—and WASH-services play an essential role in that response. Due to the conflict, as well as years of under-development—a result of being the poorest country in the region long before the conflict broke out—Yemen also suffers from an acute shortage of functioning irrigation systems, water points and sanitation facilities. This leaves the Yemeni people at risk of such life-threatening diseases as cholera and typhoid. In 2017, the worst cholera outbreak in modern history ravaged the country, with more than 1 million cases recorded. In the first quarter of 2019, Yemen witnessed a new spike in cholera, with 109,000 new cases. One-third of those cases are children under the age of five. These alarming numbers illustrate that the need for improved WASH services—such as reliable water points and access to functioning latrines—isn’t simply a matter of convenience. It’s central to survival. 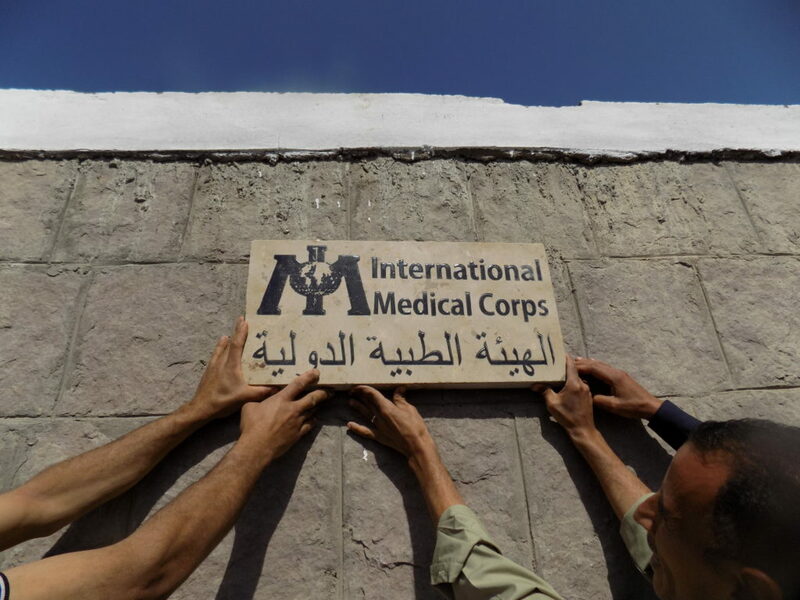 Accessing some of the hardest-to-reach areas in the country, International Medical Corps provides vulnerable communities with safe water, prioritizing buildings with key functions, such as health facilities and schools. We also build latrines—both communal and in family homes—and make sure that local populations are given the skills they need to maintain them, amplifying the benefit of the intervention long after the organization departs. To prevent diseases before they break out, International Medical Corps also raises awareness about the importance of good hygiene and sanitation. In countries such as Yemen, where resources remain scarce, disease prevention is a key element to building healthy communities. 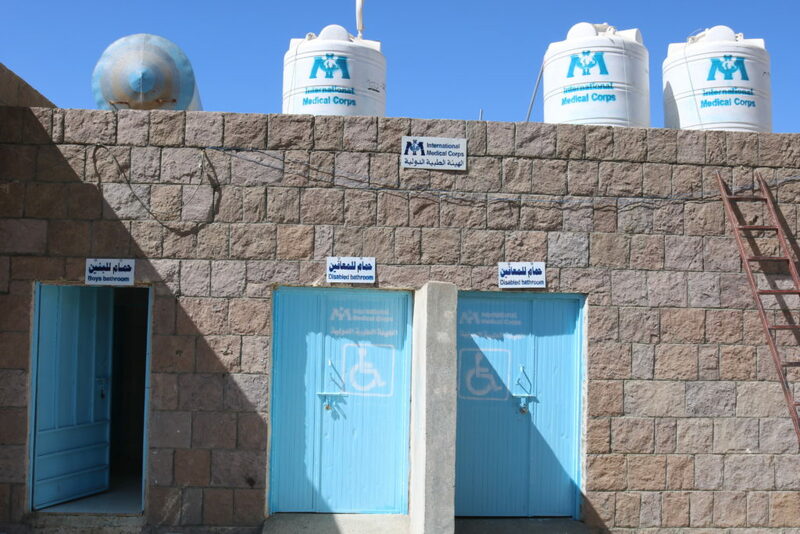 As an example, I recently had the privilege of helping to complete a set of new toilets and a rain water tank in a school in Al-Udayn, a remote area in southern Yemen. What the female staff and schoolchildren helped me to understand is that the toilets are so much more than sanitation facilities. They also represent a real chance for girls to go to—and remain in—school. Free of fear to change sanitary pads, or of the stress and discomfort of attending class while having their period, no girl has to be absent from school because of menstruation. Despite the war, the fact that I am able to contribute to community development and help the girls and female staff in the Al-Salam School live a more dignified life brings me precious moments of happiness. 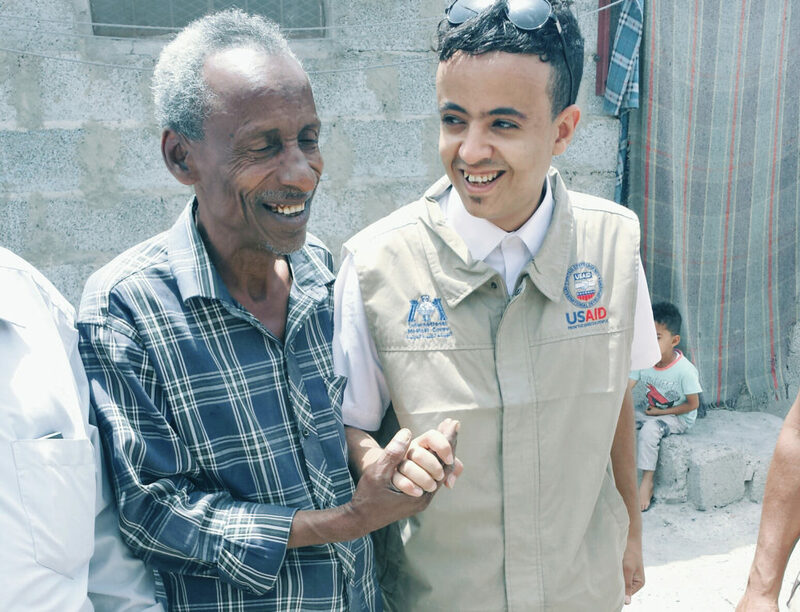 It’s tremendous knowing that, if we work together, it’s possible to ease the burden of the Yemeni people.